In a Nutshell: In the wake of the 2008 financial crisis, peer-to-peer (P2P) lending arose as an alternative to credit offered by traditional banks. At the same time, blockchain-based cryptocurrencies like Bitcoin also emerged. 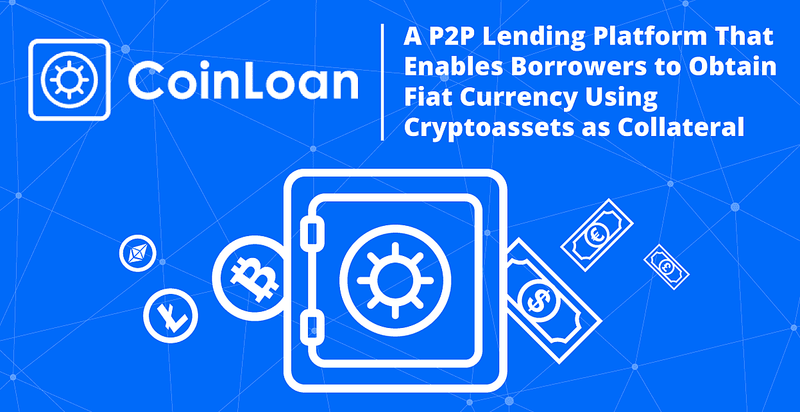 Now, CoinLoan is bringing the two together through its P2P lending platform that lets borrowers use cryptoassets as collateral for obtaining fiat (or traditional) currency. Lenders provide capital with a guarantee from CoinLoan that they will be repaid in full. Borrowers gain access to funds without needing to dispose of their cryptoassets or prove their creditworthiness. As credit availability from traditional banks steeply declined during the 2008 financial crisis, peer-to-peer (P2P) lending platforms, with lower overhead and the promise of attractive interest rates, emerged as an online alternative. But, because P2P lenders have to contend with the risk of borrower default and P2P platforms must act as intermediaries, the market remained somewhat closed off. Meanwhile, blockchain was on the rise as the first truly decentralized transaction technology. It was developed to facilitate a new digital currency known as Bitcoin but soon expanded to support other currencies. Blockchain preserves data in permanent, cryptographically and chronologically linked packages. On the blockchain, individuals can securely buy, sell, and store cryptocurrency without the need for intermediaries or even familiarity with one another. And businesses are increasingly willing to accept cryptocurrency as payment for goods and services. But moving cryptoassets directly from a blockchain exchange into the form of fiat (or traditional) currency has typically meant having to sell them. According to CoinLoan Chief Business Development Officer Mike Rozhko, that is something most crypto investors are hesitant to do. CoinLoan Chief Business Development Officer Mike Rozhko spoke with us about the P2P lending platform. CoinLoan is built on a blockchain platform and allows borrowers to use cryptoassets as collateral for obtaining fiat loans of up to 70% of the assets’ market value. If the collateral decreases in value during the life of the loan, the borrower either increases the amount of collateral, repays the loan in advance, or allows the system to automatically liquidate the assets and return the principal to the lender. And, when the value of the collateral increases, the borrower is still in a position to benefit. CoinLoan brings lending to a new demographic of borrowers who have digital investment capital by pairing them with lenders who control fiat currency. And the platform is garnering so much attention because it accomplishes those goals while decreasing the risk for both parties. Estonia-based CoinLoan is a European Union-regulated financial entity operating under rigorous anti-money-laundering and identity-verification procedures. Those protocols are vital when working with digital currency. 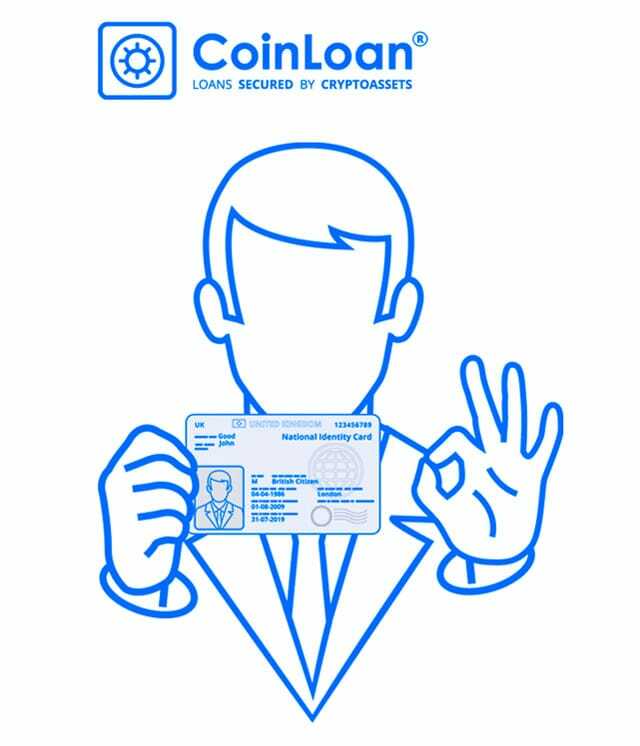 CoinLoan’s verification process includes having users provide a form of photo identification then submit a photo of themselves holding the ID. Getting up and running requires uploading a photo or scanning an identity document, such as a passport, national ID card, or driver’s license, along with a real-time picture of the applicant holding the document. A photo, scan, or PDF of a proof-of-address document, such as a utility bill, bank statement, or tax return, is also required. CoinLoan pledges to review and verify information via email within 24 hours. At that point, the lender is free to deposit fiat funds — in a widely used currency — and create a borrowing application while customizing preferences like loan amount, interest rate, and preset terms. This process maximizes flexibility for the lender as to how borrowers leverage their money. The system then locates prospects who are searching for those terms. With the borrower’s cryptoassets secure on the blockchain and backing the transaction, sealing the deal is automatic. Lenders have access to a global marketplace. With a few exceptions, CoinLoan operates in a border-free environment, with the platform handling currency conversions. Aside from the identity-verification requirements, nothing stands in the way of any individual or legal entity becoming a lender on the platform, free of licensing restrictions and subject only to a minimum loan requirement of $50. Borrowers are subject to the same verification process as lenders. They build loan applications and search the platform for opportunities that meet their needs. All the while, the cryptoassets they’ve pledged in return for a loan continues to gain or lose value as the market rises or falls. CoinLoan currently accepts Bitcoin as collateral along with other digital currencies including Litecoin and Ethereum. It has also created its own cryptocurrency, CoinLoan Token, and has plans to expand its list of supported cryptoassets. “We solve the liquidity issue for cryptoinvestors. At any given time, banks around the world offer a variety of credit terms, some more advantageous than others. CoinLoan allows borrowers to circumvent all of that and get a better deal,” Rozhko said. CoinLoan stands ready to transfer a loan directly to the borrower’s bank card. If the borrower fails to make the first payment, CoinLoan accesses any fiat currency the borrower still has on the platform or liquidates a portion of the borrower’s collateral. That rarely happens. But with fluctuations in cryptocurrency prices more the norm than the exception, CoinLoan also stands ready to proactively prompt borrowers when a decline in the value of the borrower’s collateral necessitates an adjustment. CoinLoan’s service — backed by cryptoassets and automated on the blockchain — has the potential to disrupt traditional financial services. As volatility increases in financial markets, investors in search of portfolio diversity and a predictable ROI see certainty in CoinLoan. And barriers to entry are almost nonexistent. On the other side of the equation are billions of people — including consumers, entrepreneurs, and SMB owners — who want access to credit but have been locked out by low bank penetration, bureaucracy, and unfavorable terms. Armed with nothing more than a smartphone and an internet connection, these individuals are learning to see cryptocurrency as an opportunity and CoinLoan as a bridge between the old and the new. That’s because bank accounts aren’t required for crypto investors or CoinLoan customers. And neither is acceptance of credit terms set by banks that have their own fiduciary goals. As crypto markets mature, CoinLoan is preparing additional services to facilitate cross-border exchanges and even “tokenize” physical assets like real estate. As more value becomes available on the CoinLoan platform, the resulting competitive increases promise to usher in a market ever more favorable to borrowers and more accessible to lenders.